Dr. Blaskiewicz completed his undergraduate work at Syracuse University with a dual major in biology and chemistry, and a concentration in biochemistry. After completing his M.D. from Ross University, he completed a General Surgery Internship and Neurosurgical Residency at State University of New York’s Upstate Medical University. During his residency training, Dr. Blaskiewicz focused his research efforts on surgical repair strategies for spinal cord injuries, and he was presented the New York State Neurosurgical Society’s Resident Research Award for his work. Dr. Blaskiewicz supplemented his neurosurgical training by completing two spinal fellowships: one at SUNY Upstate Medical University, with Dr. Ross R. Moquin, in Adult Complex and Spinal Deformity, and the second at UCLA, with Drs. Langston T. Holly, and Duncan Q. McBride, in Complex and Minimally Invasive Spinal Surgery. Dr. Blaskiewicz has surgical expertise all aspects of spinal surgery including minimally invasive spinal techniques, as well as complex reconstructive techniques for adult spinal deformity and degenerative scoliosis. 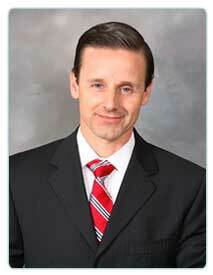 Dr. Blaskiewicz sees patients in our San Diego office. Dr. Blaskiewicz has privileges at Sharp Memorial Hospital, Sharp Grossmont Hospital, Sharp Chula Vista Medical Center, Scripps Mercy Hospital, Scripps Memorial Hospital, La Jolla and Palomar Medical Center. He has special interest in image-guided techniques for both spinal and cranial surgery, surgical and stereotactic treatment of tumors of the spinal column and the spinal cord, and surgical techniques for dynamic spinal stabilization. Curriculum Vitae for Donald Blaskiewicz, M.D.